The lights dimmed and the trailers played. It all began on a hot Sunday afternoon, where my friends and I had decided to go for an outing at 1 Utama. 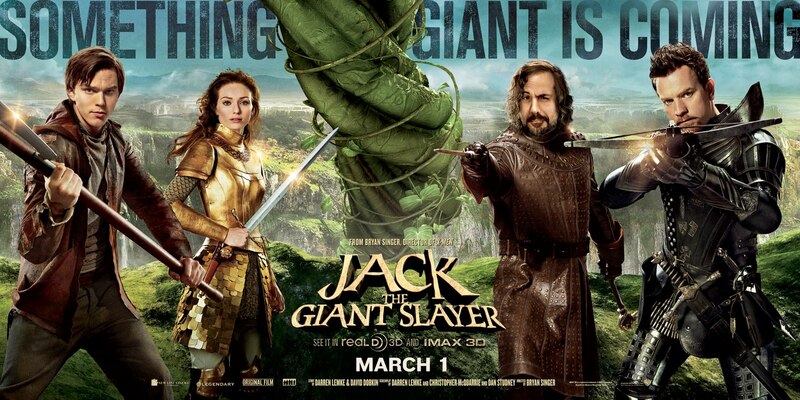 We had picked a movie called Jack the Giant Slayer to watch, since that’s what us teens do these days. Jack the Giant Slayer is a visually spectacular adventure that is referenced from a classic fairytale, Jack and the Beanstalk. This goes to talk about Jack, a peasant who saves the kingdom’s princess, Isabelle, from the scary world of giants up in the clouds. This follows the original story at first: Jack trades his family horse for some magic beans, which when accidentally planted, grows into a beanstalk that reaches the clouds. The plot follows when Isabelle ends up in the kingdom of giants, and Jack, being the hero of this movie, has to save the damsel in distress. And of course, every fairytale has a villain: the king’s power-mad advisor, Lord Roderick, who wants to use the giants to seize the throne for himself. But what about the giants? Well, they do look cartoonish as they did in the trailers. It was still a pretty impressive CGI creation. There’s a lot of people-eating and some epic battles, and the giants never look too menacing. If anything they’re mostly played for laughs. In the end, like every fairytale, it goes into a ‘happily ever after’, where the hero gets the girl. In spite of a predictable story, and some awkward visuals, the movie is surprisingly entertaining. The visual effects and humor are probably the only reasons I’m hooked onto the movie, but sometimes all you need is an escape from reality.